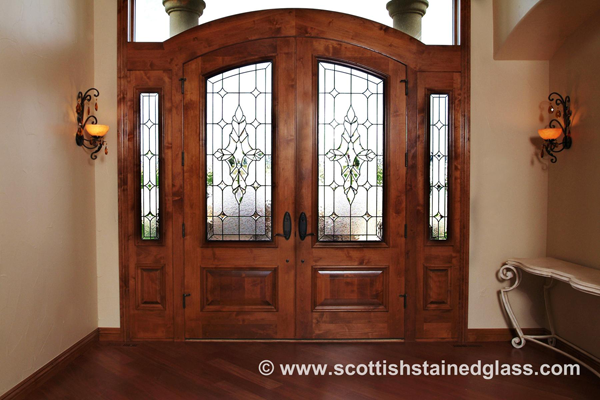 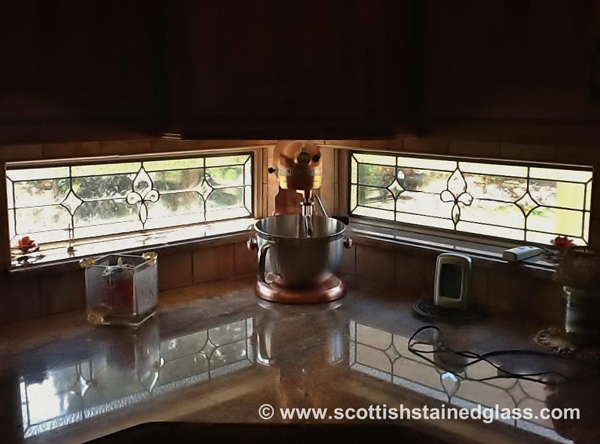 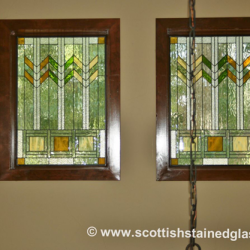 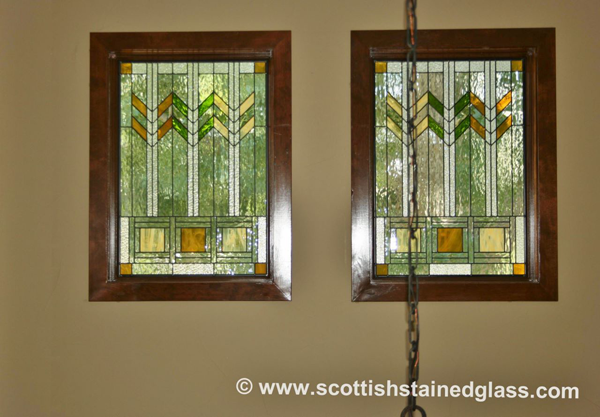 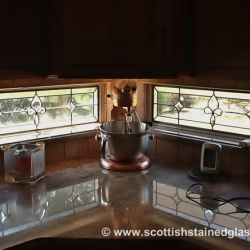 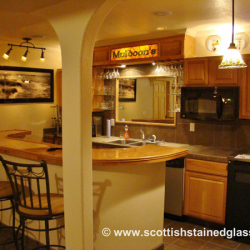 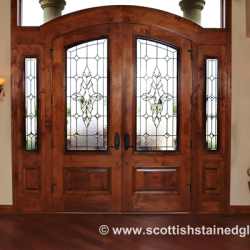 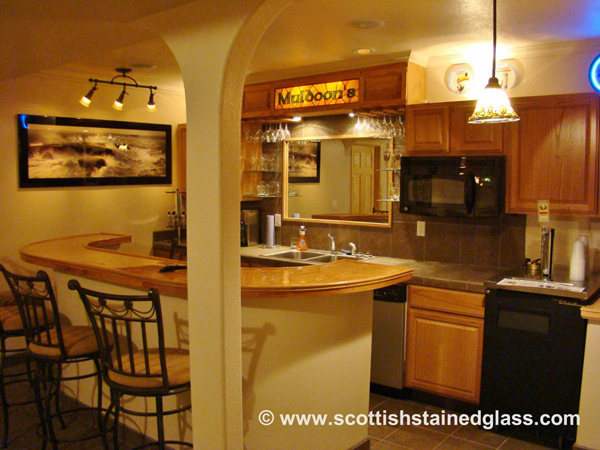 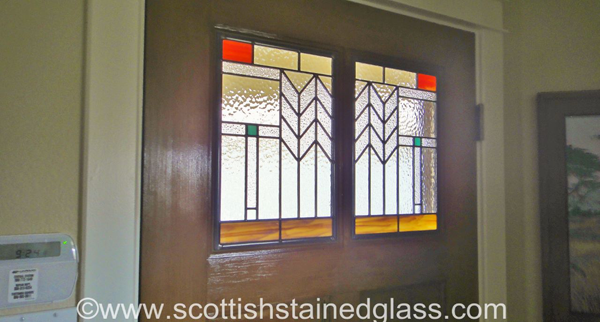 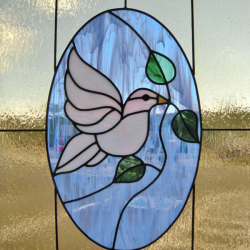 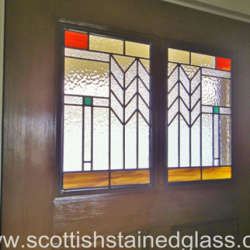 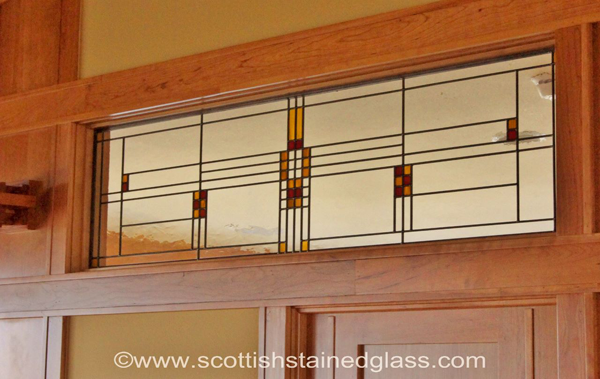 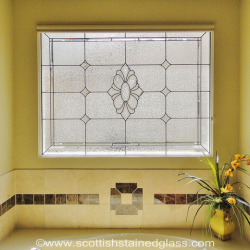 Scottish Stained Glass in Kansas City specializes in custom designed stained and leaded glass for all areas of your home. 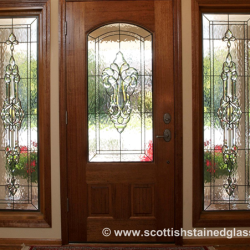 Each area of the home may have different reasons for considering decorative glass. 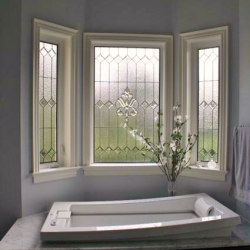 For example in the bathroom you may have a window in a shower or above the bathtub where privacy is essential but natural light is also desired. 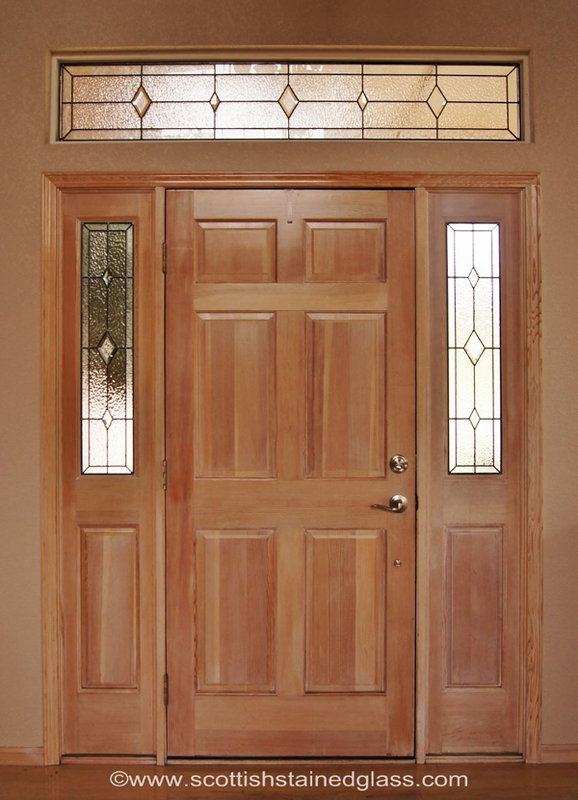 Your home’s entryway is where the first impressions are made. 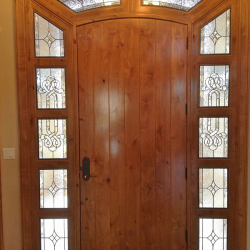 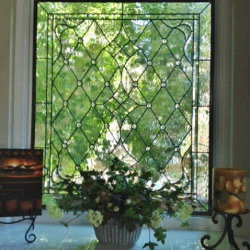 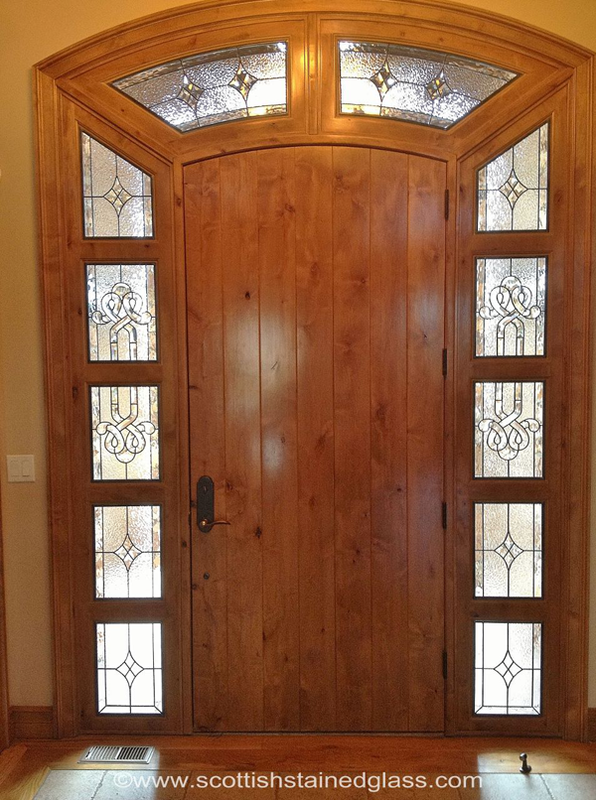 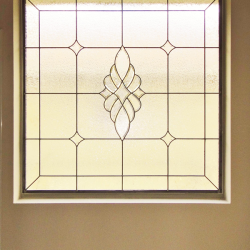 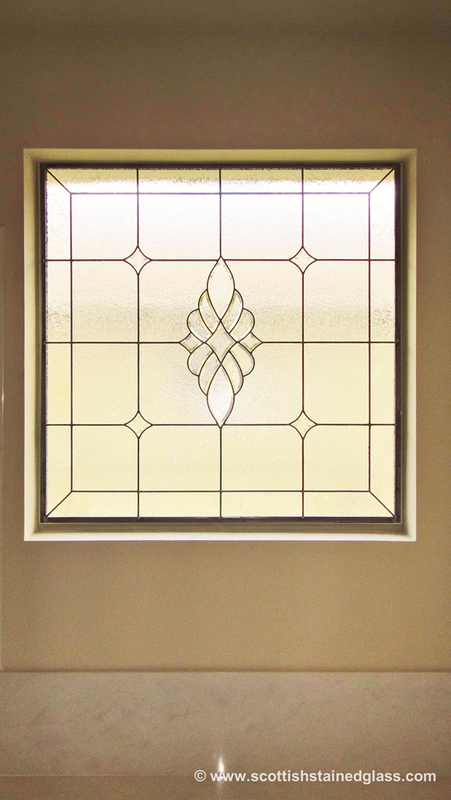 Leaded glass windows in the door or the surrounding glass areas make a wonderful impression on visitors as they enter and leave your home. 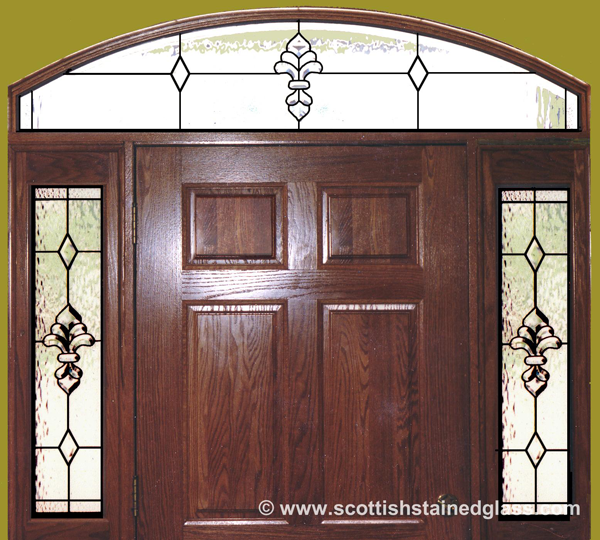 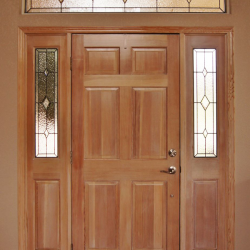 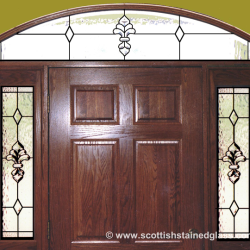 Sidelights are those skinny windows beside your front door. 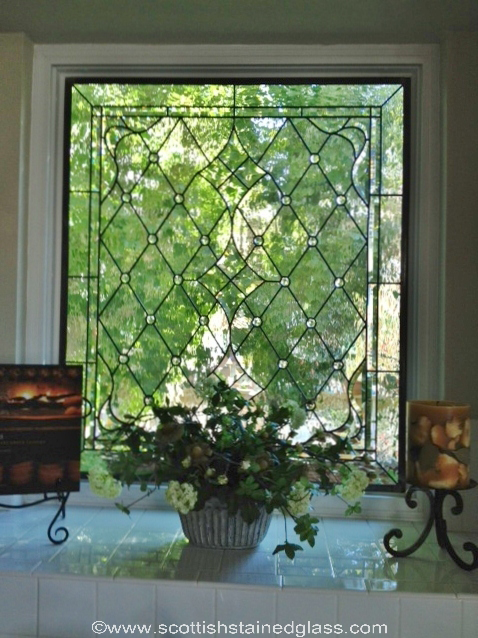 Often our friends and neighbors love to look in through these windows. 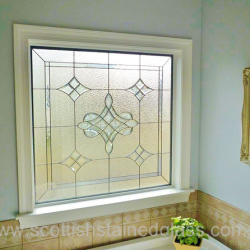 I’m sure they are just being friendly but occasionally you may prefer to have privacy and sidelight stained glass is the perfect way to achieve this. 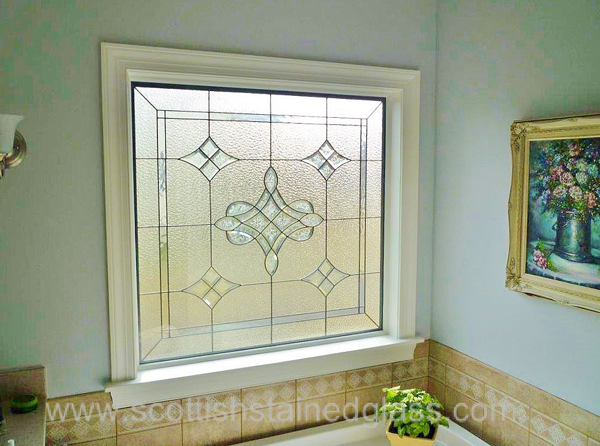 To give you added insulation, safety and security all Scottish Stained Glass windows are installed with additional double pane glass. 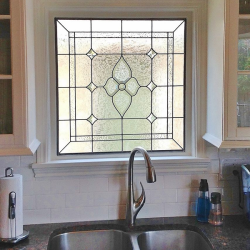 We all know where the best parties end up so adding some Kitchen stained glass windows will be a bold and elegant statement in an area of your home where you might spend much of your time. 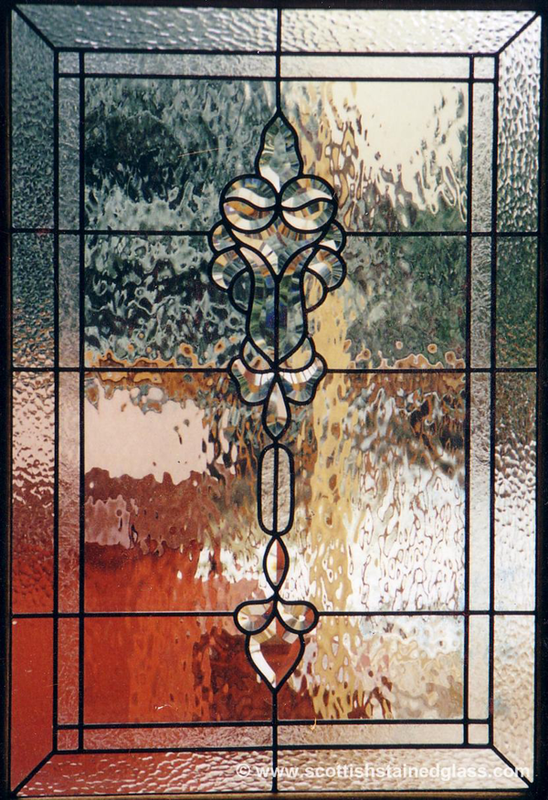 Leaded and stained glass can be added to kitchen cabinets, pantry doors, windows and even ceiling fixtures. 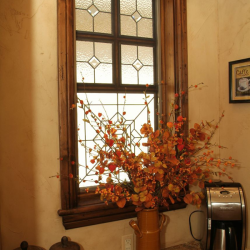 Our homes in the Kansas City metro area are often built incorporating transom windows. 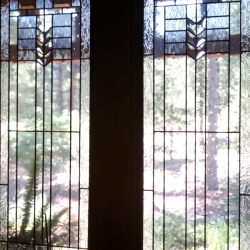 These are generally speaking windows above other windows. 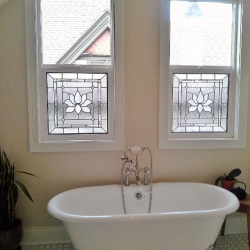 Sometimes these present a bit of a design challenge. 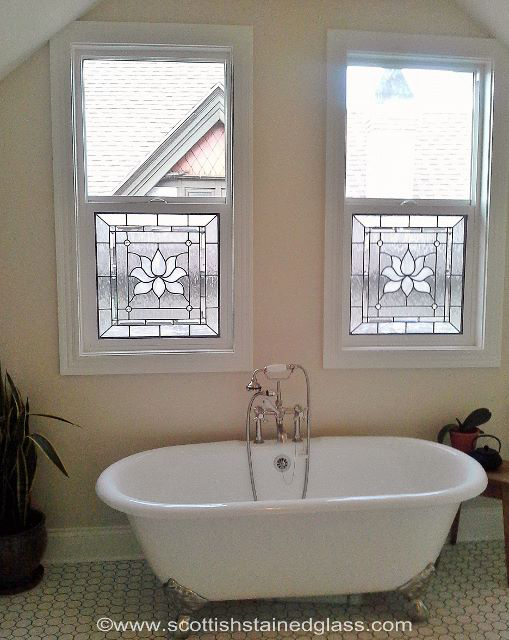 They may be too high up to open and close shutters, blinds or curtains. 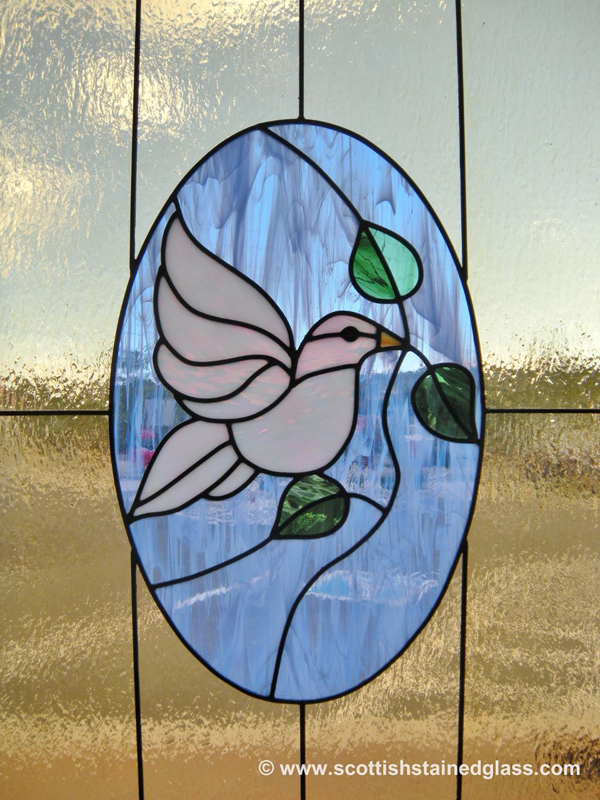 Leaded and stained glass will allow natural light into the room and add a beautiful decorative statement to areas of your home which may otherwise remain overlooked. 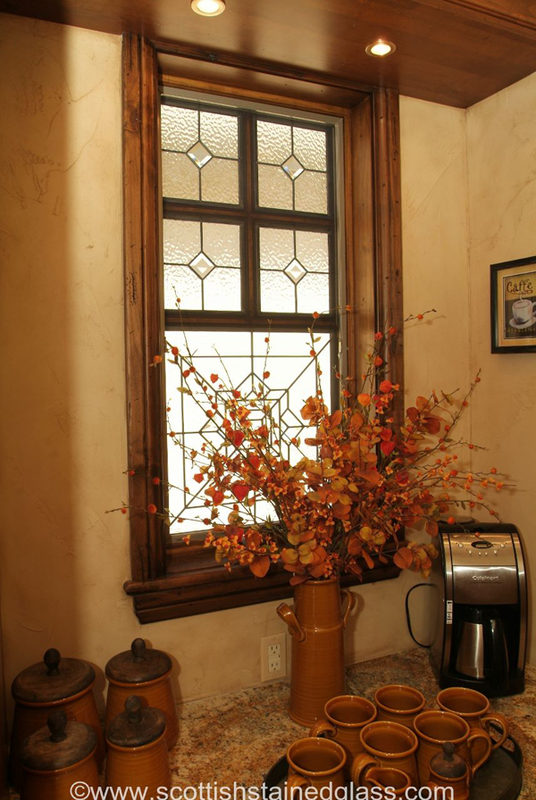 Transoms can also be interior windows, sometimes above a door from one room to another. 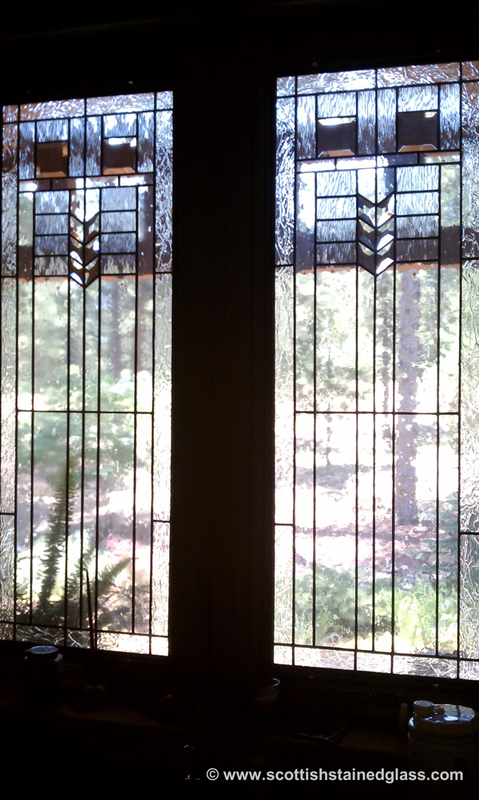 When the side of your home faces your neighbors house you might consider some hallway stained glass. 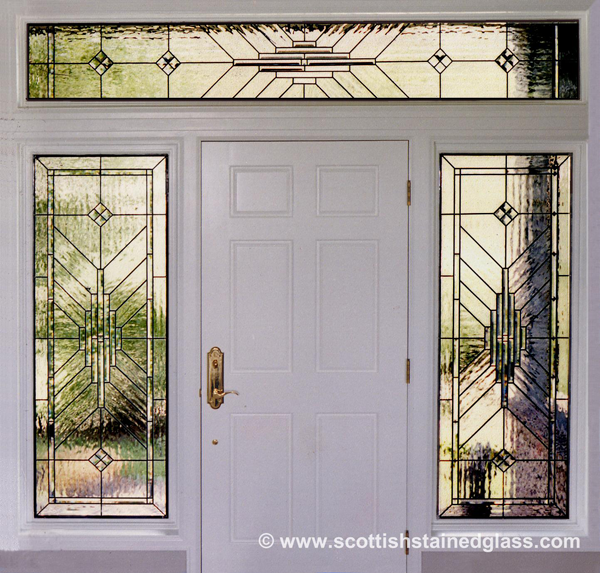 The side of a house is not usually an attractive view and by adding leaded glass you can turn a negative feature of your home into a positive one. 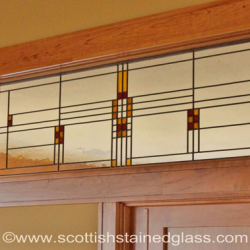 When you have an older home built over 80 years ago there was often stained glass built with the home. 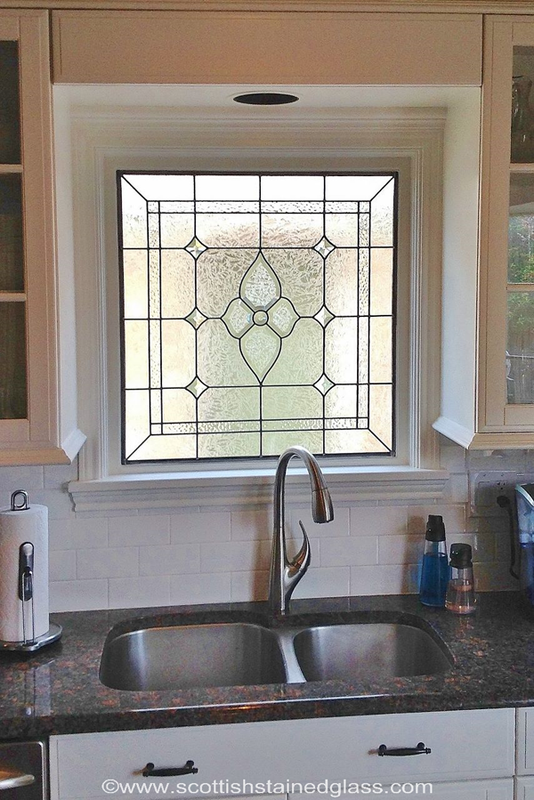 Many of these windows have disappeared over the years but you can revitalize an old home with the addition of our antique style stained glass. 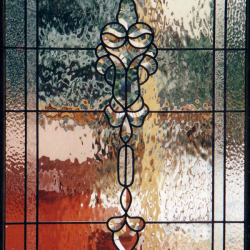 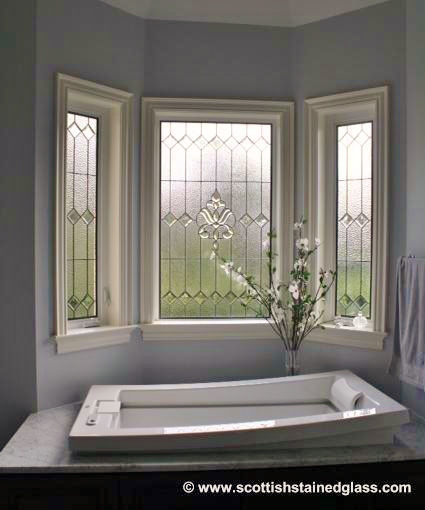 We will custom design glass from the period when your home was built and make it blend right in. 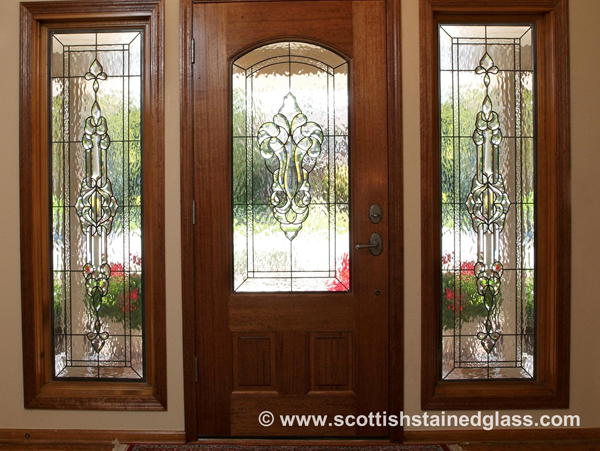 Your visitors will admire the glass as if it’s an original feature. 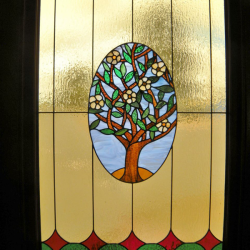 Most people associate stained glass with churches. 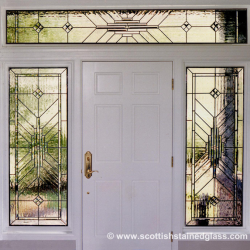 Religious stained glass has taken many forms over the years and Scottish Stained Glass has worked in hundreds of Churches of every denomination imaginable. 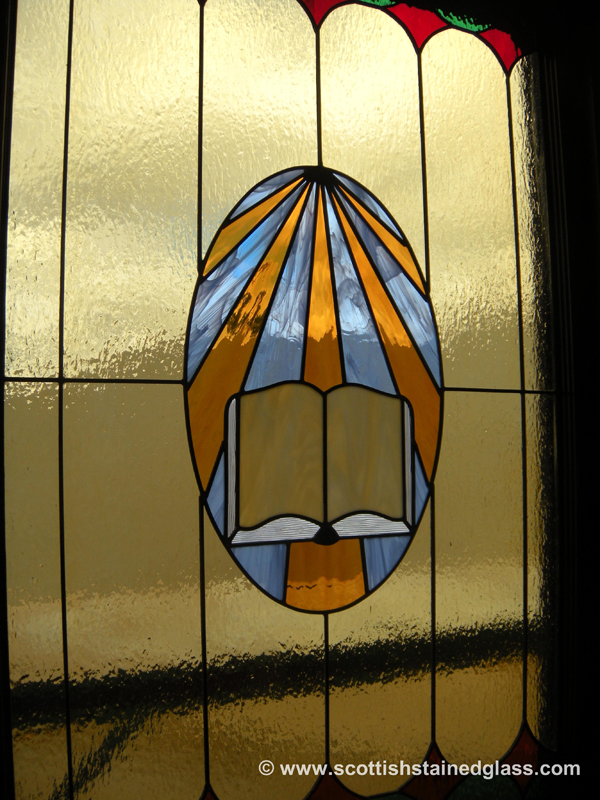 When we work in churches we often use more colored glass than when we work residentially and create rainbows of color to be admired by the congregations. 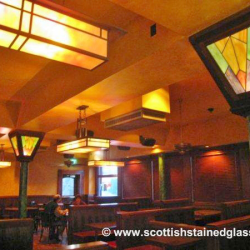 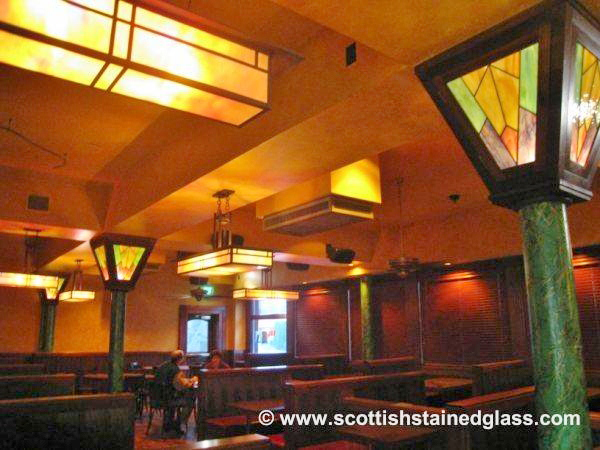 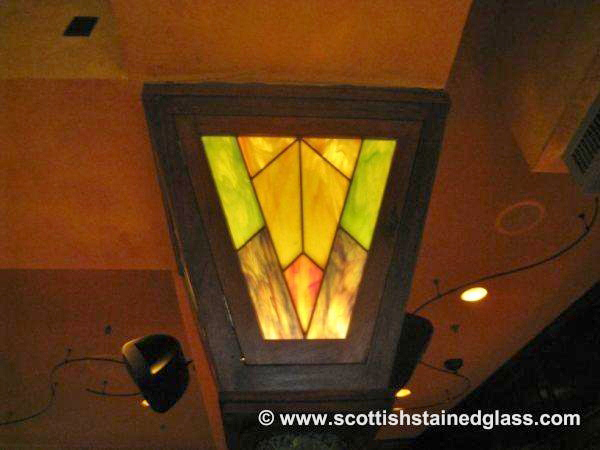 Commercial stained glass windows are popular in restaurants, bars and hotels. 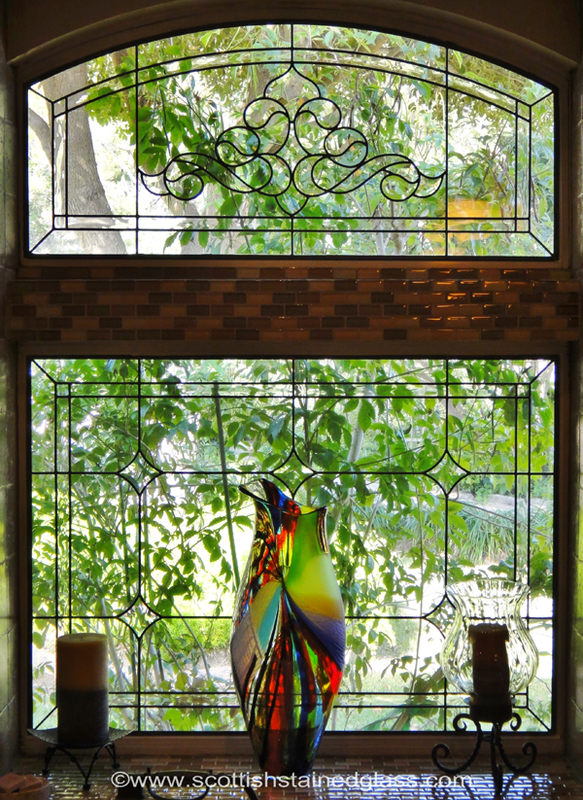 However public buildings, shopping malls and office buildings are starting to think more and more about the ambiance they want to create. 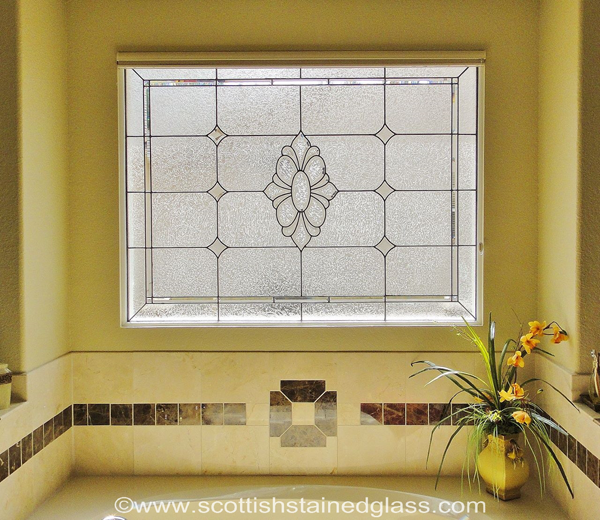 Therefore stained glass can be an ideal compliment to any design theme. 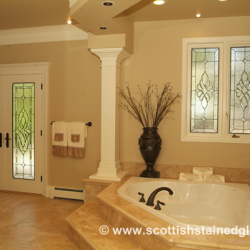 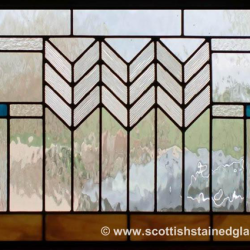 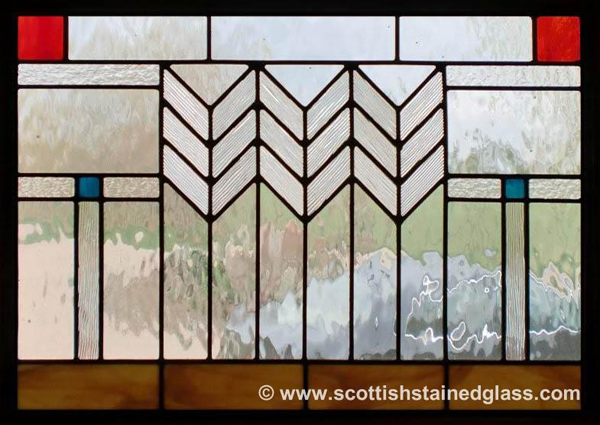 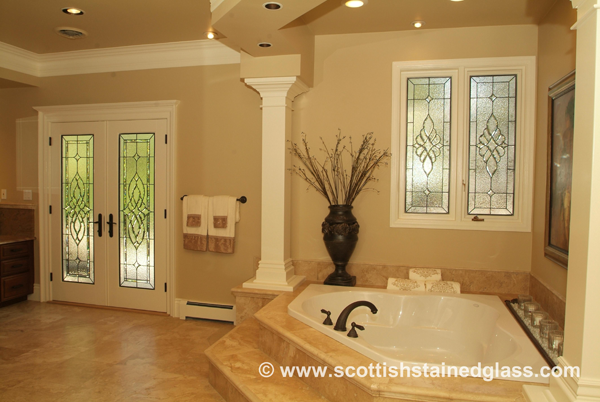 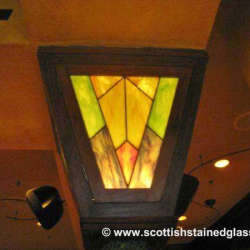 Scottish Stained Glass in Kansas City works with all types of designs. 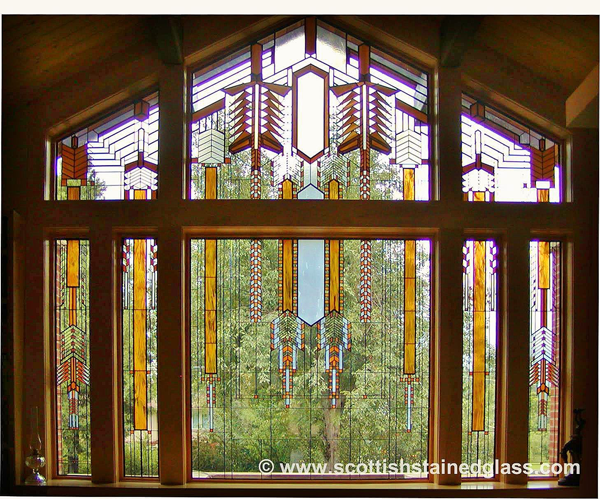 We design :traditional glass; contemporary; beveled; leaded; celtic; Art Deco; Art Nouveau; mission style; prairie style and southwest to name but a few. 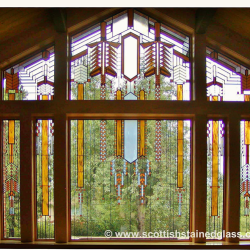 However, our admiration for the work of Frank Lloyd Wright causes us to give him a page on our website all of his own. 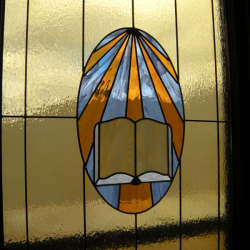 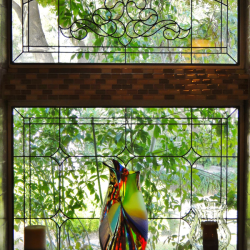 We hope you enjoy exploring some of the infinite possibilities for the use of stained glass in you Kansas City home. 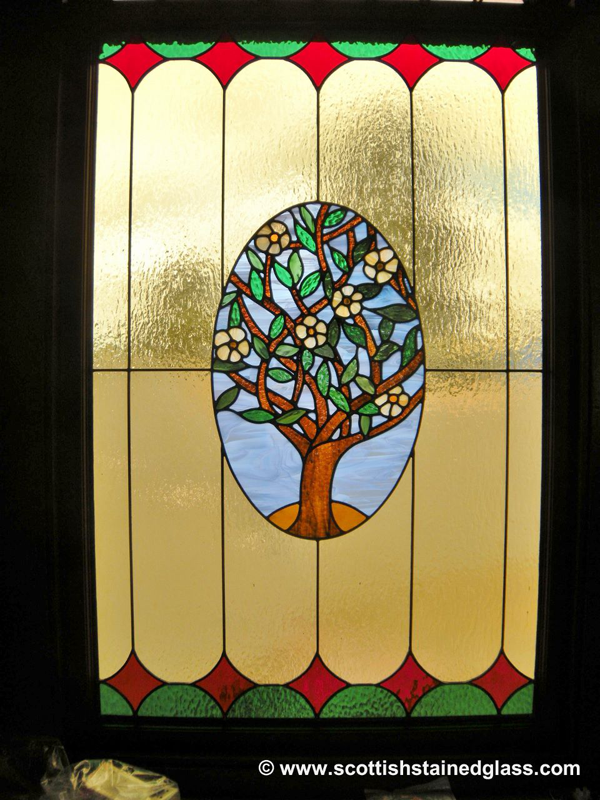 Kansas City Stained Glass Owner Martin Faith has appeared on various TV programs on HGTV, DIY Network, NBC, and CBS .